YOUR PERSONALIZED DRY EYE SPADon’t just treat the symptoms of your dry eye – treat the cause! Very often, dry eye is a nuisance we deal with quietly. We don’t have the time to take care of it or we think it is not a big deal. Gritty, sandy, dry, burning, itchy and irritated eyes are common complaints we hear. But living and suffering with dry eye is not necessary. The Dry Eye Spa at New Jersey Eye Center offers treatment based on your personal dry eye needs. We have a state-of-the-art facility, excellent clinical staff and we offer personalized attention. Dry eye doesn’t have to stop you from seeing clearly, come SEE what the Dry Eye Spa at New Jersey Eye Center can do for your eye health needs. We use advanced technology to qualify dry eye & quantify the grading levels of the severity of dry eye when we begin treatment. 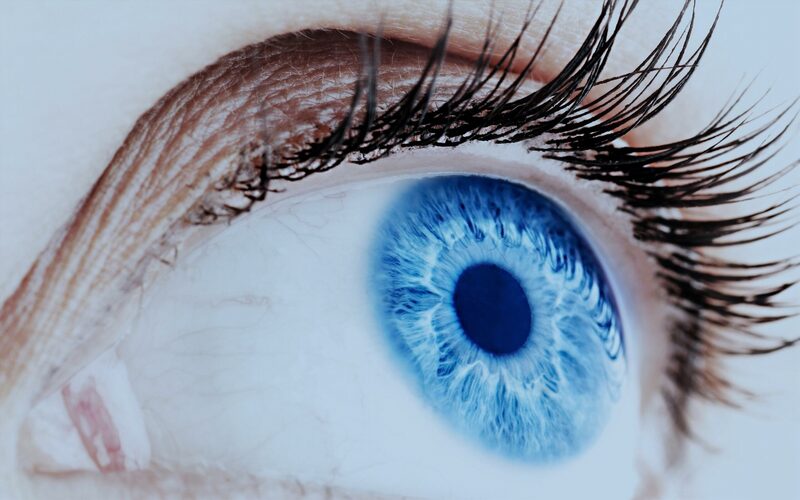 Our doctors adhere to a high standard of care for vision. They strive to exceed all standards as set forth by the American Optometric Association. None of the new technologies, no matter how intuitive or sensitive, replace a personal good exam, starting with a patient discussion and a survey or questionnaire. Dry Eye Spa at New Jersey Eye Center is open six days a week from early morning till evening. Dry eye is typically covered by Medicare and all major health insurance. Dry eye syndrome is a very common problem, especially among older patients. Nearly 50% of American adults routinely experience dry eye symptoms. While over the counter eye drops are available, this solution does not adequately address everyone’s problems. In fact, some eye drops that claim to alleviate dry eye symptoms can actually worsen your condition. What is Dry Eye Syndrome All About? Dry eye syndrome is a condition in which there is a chronic lack of lubrication and moisture on the surface of the eyes. The main symptoms include: Dryness, Discomfort and irritation, Grittiness or feeling of a foreign body in the eye, Burning or stinging sensation, Tearing, Redness, Discharge, Tiredness, Itching, Vision disturbance, Sensitivity to light. Extensive mobile devices use lead to the dry eye symptoms among younger population. Smartphones and tablets have an impact on blink rate. If you blink less, your meibomian glands loose the ability to release oil and the lids stop properly disperse it. This results in tear film instability and, ultimately, dry eye symptoms. The diagnosis and treatment of dry eye is typically covered by Medicare and all major health insurance. Please call us (201) 384-7333 for more information. 100% satisfied patients after Dry Eye Spa treatment at New Jersey Eye Center. As a first course of action, our doctors may recommend that you try artificial tear eye drops, which will lubricate your eyes and may alleviate dryness and scratchiness. Prescription eye drops to reduce inflammation are another option commonly recommended by eye doctors. If eye drop solutions do not sufficiently relieve symptoms, our eye doctors may recommend the use of a tiny insert called Lacrisert, which is placed in the lower eyelid and releases a lubricating solution continuously throughout the day. Another option is the placement of a temporary or permanent lacrimal plug in the tear drainage duct of the eyelids. There are a variety of plugs available and they all serve to slow down tear drainage from the eye, thus keeping the eye moist and comfortable. I thought getting into my 40’s that my painful and irritated eyes were part of the aging process. I was wrong. I work on a computer 10 hours a day, sometimes more and the pain was getting worse and worse. The regular drug store brand drops weren’t doing anything for me. I went to New Jersey Eye Center and expressed my concerns. I filled out a very simple, few question survey and was seen by Dr. Dello Russo, who is fabulous! Aside from the normal warm compresses, he made sure that we explored all options and what was best for me. I can honestly say just two weeks later I feel like I have my 20 year old eyes back. Best move I ever made. I abused my computer, TV and cell phone. Who doesn’t, right? I suffered every day, constantly feeling the need to rip my eyes out. I saw a few doctors who all recommended the same thing. Drops and the regular one size fits all approach. My friend saw the docs over at NJEC and recommended I go there. I made an appointment for a Tuesday. I explained my issues and Dr. D recommended I have plugs placed in my tear ducts. One month later and I can only say that I have not felt like this in a long time. No more itchy, red and sand filled eye feeling. I wake up with clarity and I work though the day with no issues at all. Not to mention that he introduced me to the best Omega-3’s on the planet. I feel 100%, it’s worth the trip! My eyes were dryer than a bone. I had been dealing with this for years, thinking that I was stuck. I drove past the building one day and decided to go in and make an appointment. Great staff, great location, great doctors and great service. He listened to my every concern and we talked about a few options. After a combination of a few things, my eyes are as good as new. There is definite help! 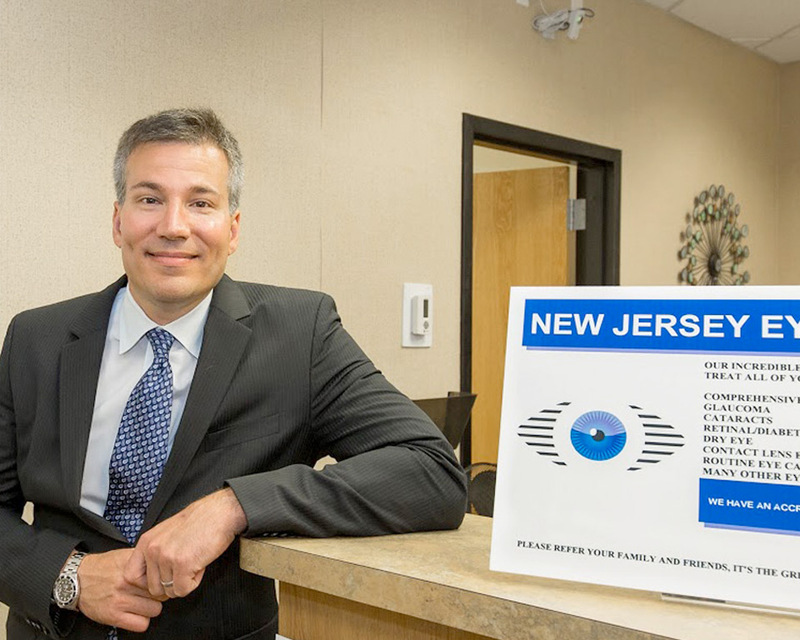 Dr. James Dello Russo is the Managing Director of New Jersey Eye Center, P.A. and Main Eyeglass Center, Inc. Dr. Dello Russo received his Bachelors Degree in Behavioral Neuroscience from Lehigh University (1996). He then continued his education at New England College of Optometry from which he graduated with a Doctor of Optometry degree. While studying, Dr. Dello Russo went through extensive training at prominent eye care centers including the New Jersey Eye Center. Dr. James Dello Russo is considered an expert in the management of pre and post laser vision patients and has lectured on the subject. Dr. Dello Russo has been working alongside his father, pioneer ophthalmologist Dr. Joseph Dello Russo, at the New Jersey Eye Center where he provide exceptional care to his patients and develops new techniques to treat common eye conditions. Dr. Dello Russo is certified with the New Jersey Board of Optometry and New Jersey Therapeutic Pharmaceutical Agents. Dr. Parisi is our Glaucoma Specialist, performing minor procedures including YAG laser and pterygium. 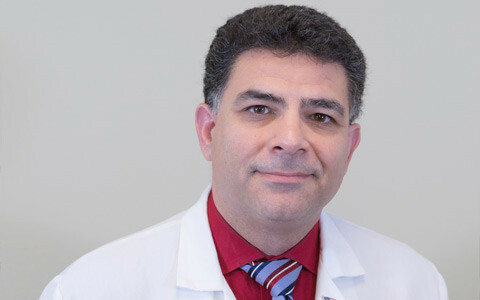 Born in Englewood, New Jersey, Dr. Frank Parisi received his Doctor of Medicine degree from the Albert Einstein College of Medicine in 1992, graduating with distinction in Ophthalmology research. The following year he completed his Internal Medicine Internship from Winthrop University Hospital. In 1996 he completed his residency in Ophthalmology at the Albert Einstein College of Medicine. Dr. Parisi later obtained a Glaucoma Fellowship at the prestigious Scheie Eye Institute. Dr. Parisi joined New Jersey Eye Center in 1997. For the last sixteen year, he has been board certified by the American Board of Ophthalmology. He maintains various active society memberships including with the New York State Ophthalmological Society. If you are suffering from dry, itchy, irritated eyes, contact the Dry Eye Spa at The New Jersey Eye Center today. And one of our specialist will get back to you to schedule an appointment.